After a few days off (Im sorry) I am back to it. Every Pinball machine does lots of beeping, buzzing and music playing as will this one. A very inexpensive way to make sound is to use a piezo-electric buzzer. To make it “buzz”, you just drive a 50% duty cycle square wave into it at the frequency you want. 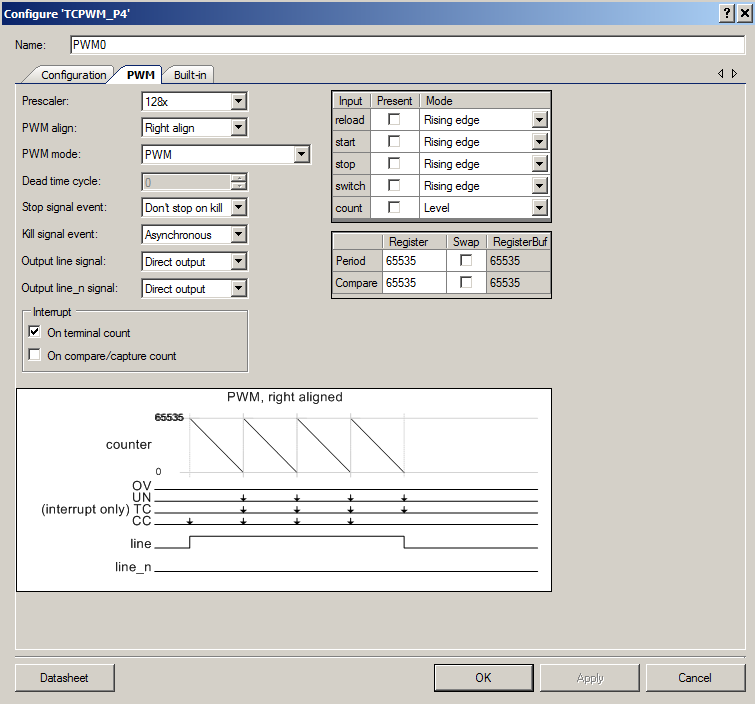 This is a perfect task for the PSoC4 BLE Timer Counter Pulse Width Modulator (TCPWM). There are obviously limitations with this scheme, starting with you can only play one note at a time, and the notes can only be square (real sound has a much more complex waveforms). But all of that is OK because the buzzer work OK and, as I said… they are cheap. On the Pinball printed circuit board I have placed two buzzers, my thought was one would be used for buzzing and one would be used to play a song. Next, you need to create the schematic for the music player. You do this by right-clicking on the “Pinball Component” project and adding a “Schematic” implementation. Then add the default clocks, the TCPWMs and the pins. 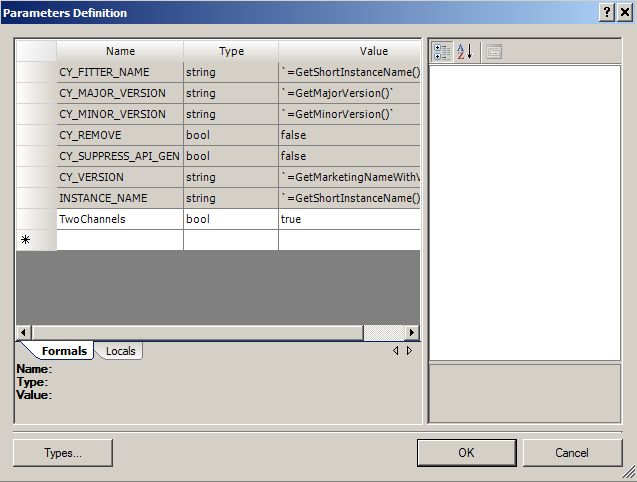 Earlier I added a component parameter called “TwoChannels”. When this parameter is false, I want to remove the extra components. With the help of the Cypress component manager I found out how to do this. And it is simple. Just add an expression to the TCPWM, Pin and Clock “CY_REMOVE” Parameter. 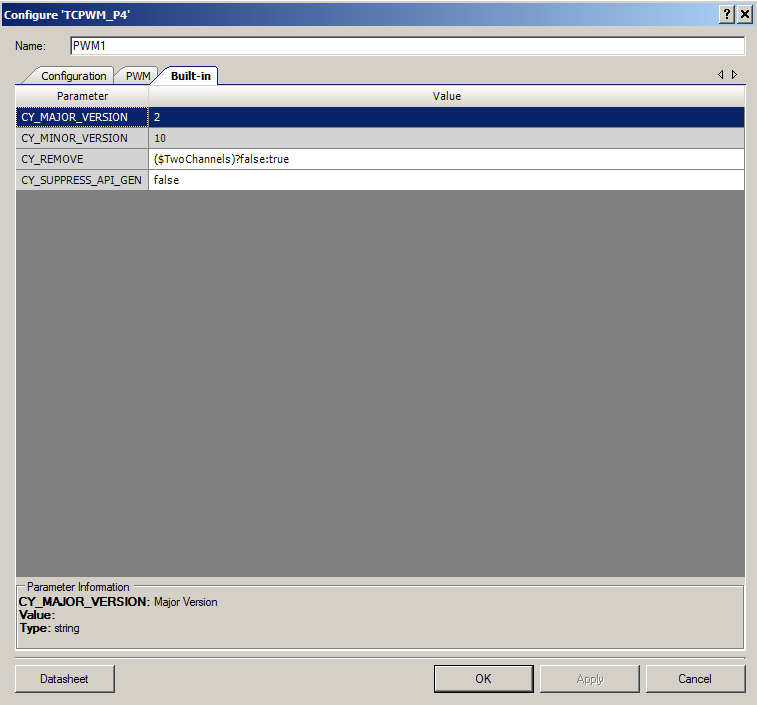 This parameter shows up on the “Built-in” tab for these three components (in fact all Cypress components). When the value is “true” the component magically disappears. 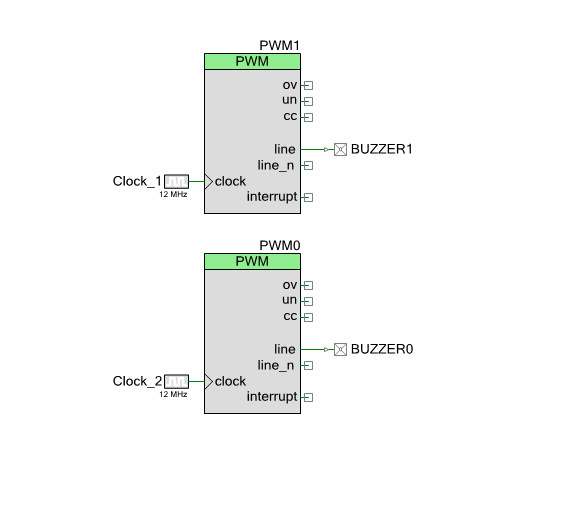 Next, I configure the TCPWM to have the prescaler turned on (which divides the input clock). This is used to reduce the default 12MHz clock down to an easier to control 93.75Khz. In the next post Ill show you the firmware. Thanks. I had a little bit of inside help (the manager of the component team) helped me sort that out.